Item Code : 46003 Description : 8ct Red Candles w/White Santa Claus. Made in China Packing Details : 24 Blister Cards/Inner, 288 Blister Cards/Outer Carton. Sample charges needed. Price and MOQ to be discussed later. Customer's own designs are welcome. Polyresin Dog Statue Product Images Name : Polyresin Dog Statue Item Code : PDS – 001 2. Product Name : Polyresin Dog Statues 3. 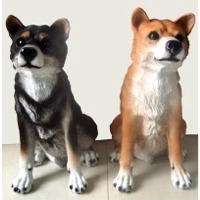 Product Description : Polyresin Dog Statues (About 65 cm High) 4. 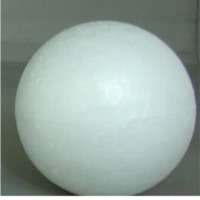 Price of Product : US$25.00 – US$30.00 Each 5. Product Origin : China 6. 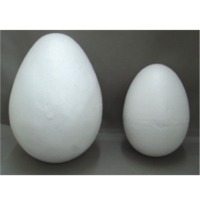 Key Specifications /Special Features We can establish molds to produce customer’s own designs. However, mold cost will be added to unit price. Unit price is FOB China Port. MOQ is 150 Pieces. Packing is One Piece in a Master Carton. 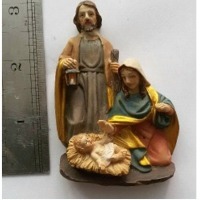 Measurement of Master Carton is about 66 x 52 x 40 cm. Delivery time is to be discussed later after firm order. Short on time? 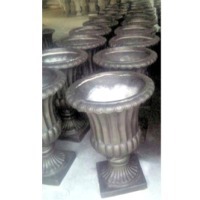 Let giftware sellers contact you. 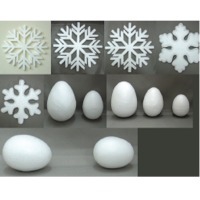 Product Name : Styrofoam Snowflakes Product Description : Styrofoam Snowflakes with different sizes Price of Product : To Be Discussed If Interested. Product Origin : China Key Specifications /Special Features : Styrofoam Snowflakes are well suited for Christmas Decorations, Ornaments, Painting, Projects, Window Display etc. Prices are Unrivalled. MOQ : Container Quantities (Usually 40’ or 40’ HQ). 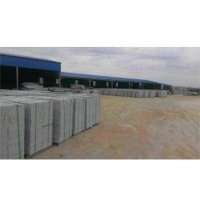 Packing : Bulk Pack at various quantity of each size or at the requirements of buyers. Delivery time is to be discussed later after firm order. 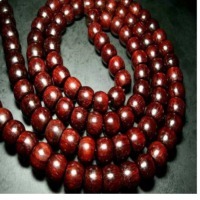 Item Code : WH - 002 Description : Wooden Beads. Made in China. Packing : Per our standard packaging or customer’ packaging requirements. Sample charges needed. Price and MOQ (in Piece) to be discussed later. Customer’s own designs are welcome. 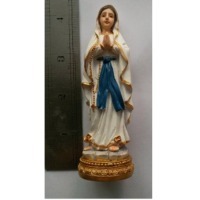 Item Code : RF - 001 Description : Polyresin Religious Figurine (6"). Made in China. Packing : Per our standard packaging or customer’ packaging requirements. Sample charges needed. Price and MOQ (in Piece) to be discussed later. Customer’s own designs are welcome. 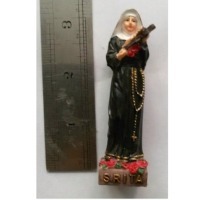 Item Code : RF - 003 Description : Polyresin Religious Figurine (3.5"). Made in China. Packing : Per our standard packaging or customer’ packaging requirements. Sample charges needed. Price and MOQ (in Piece) to be discussed later. Customer’s own designs are welcome. 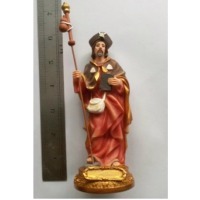 Item Code : RF - 004 Description : Polyresin Religious Figurine (3"). Made in China. Packing : Per our standard packaging or customer’ packaging requirements. Sample charges needed. Price and MOQ (in Piece) to be discussed later. Customer’s own designs are welcome. 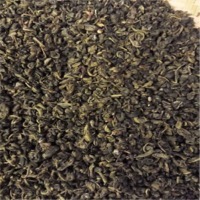 Item Code : Tea001 Description : Jasmine Tea. Made in China. Packing : Per our standard packaging or customer's packaging requirements. 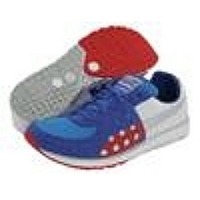 Sample after agreement of prices, but freight charges will be at potential buyer's expense. Price and MOQ (in Kegs) to be discussed later. 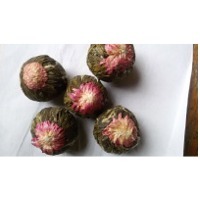 Item Code : Tea002 Description : Blooming Tea. Made in China. Packing : Per our standard packaging or customer’s packaging requirements. Sample after agreement of prices, but freight charges will be at potential buyer’s expense. Price and MOQ (in Kgs) to be discussed later. Happy Birthday Candles in PVC Box UiG Brand Item Code : HBCPVC-003 Made in China Samples available on request. Customer is to bear freight cost. 1. 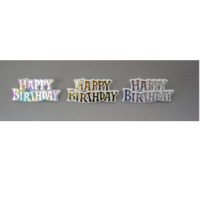 Plastic Happy Birthday Plaques (Cake Decoration) 2. UiG Brand 3. Item Code : HBS-001 4. Made in China 5. Packaging Details : Per customer's packaging requirements or our standard packaging to be discussed later. 6. Samples available on request. Customer is to bear freight cost.